Combining conventional veterinary care with alternative medicine can result in the best outcome for your horse. Conventional medicines have proven highly effective at managing, minimizing, or even eradicating diseases in humans, but an increasing segment of the population is searching for less invasive, alternative, and more natural approaches to health and wellness. This trend is now overflowing into the equine world. The growing interest in complementary or alternative modalities such as Chinese herbal medicines, acupuncture, massage therapies, chiropractic work, and homeopathy is allowing for a more integrative approach to horse health as veterinarians welcome these healing methods into their practice. Along with the growing interest in alternative treatments comes a lot of confusion, misinterpretation, or a general lack of education surrounding these approaches for horse owners. “There is a lot of information available on the internet, but also a lot of misinformation,” notes Kirsten Anderson, a veterinarian in Guelph, ON, who has a certification in equine acupuncture, veterinary spinal manipulatory therapy, and Chinese herbal modalities. “It can feel overwhelming to a client to know the best thing to do for a pet.” So how does a horse owner navigate through all the information, the plethora of products available, as well as the inherent discord between conventional and alternative therapies, in order to better understand the risks and benefits to their horse’s health? First and foremost, get a proper diagnosis from your equine veterinarian so you know what you’re dealing with. “Do the workup and know what you’re treating,” urges Anderson. Attempting to treat a horse, whether by alternative or conventional treatments, without a proper diagnosis puts your horse at risk. If you’re interested in alternative therapies, it’s highly recommended that you use an equine veterinarian who is certified in alternative therapies, or for massage or chiropratic therapy, a certified practitioner. The College of Veterinarians of Ontario provides a Position Statement that clarifies its position regarding the rights and responsibilities of providing complementary and alternative therapies in accordance with the Veterinarians Act. It’s important to understand that the vet has to let you know which conventional treatments are available first; in many instances, you may need to sign a form to agree to the alternative treatment, knowing there are conventional treatments available. If you decide to employ a non-vet to provide alternative treatments outside of the vet-client relationship, you do so at your own risk. When you’re meeting with new practitioners, Anderson says it’s okay to ask for qualifications. A veterinarian in North America with training and credentials in alternative therapies can be verified through several websites, including the American Holistic Veterinary Medical Association website (AHVMA.org). During your initial consultation, be prepared to reveal as much of your horse’s history as you know to the practitioner, including any changes you have noted and questions you want answered, suggests Dr. Joyce Harman, an equine veterinarian certified in equine acupuncture, chiropractic, and homeopathic treatments in a radio interview for Holistic Horse Radio. Gain an understanding of how the treatment will help your horse and how you can evaluate its effectiveness and outcome. With Chinese medicines, “There isn’t a one-size-fits-all remedy. There are large selections of formulas that need to be pieced together and each horse will react in a unique way to each one,” she states. If you are uncertain, Anderson advises clients to consult with their veterinarian or look for products with the National Animal Supplement Council Quality Seal on it, which tells consumers they are buying from a reputable company that has successfully completed a facility audit. You can also refer to the Notification Products List through the Low-Risk Veterinary Health Products Interim Notification Program website (lrvhp.ca). Although health products sold for animal use aren’t well-regulated at this time, Health Canada is attempting to change this through the Interim Notification Program. Initiated in 2012 and ongoing, its goal is to obtain a higher level of quality control for low-risk natural health products sold in Canada for dogs, cats, and horses, including supplements, vitamins, minerals, TCM, probiotics, and homeopathic medicines. It’s a voluntary program in which an importer or manufacturer of a product can apply for a Notification Number (NN) through North American Compendiums (NAC), a third-party administrator. If the product meets the relevant conditions established by Health Canada, a notification number is issued, indicating that Health Canada has reviewed all of the active ingredients and evaluated the efficacy based on historical data, ensuring label claims are accurate and risk levels and guidelines are met. For a product to meet these standards, there are strict marketing claim guidelines where the product cannot claim to “cure cancer” or “reduce inflammation,” instead only general claims that refer to the maintenance of normal physiology such as “help maintain,” “support,” “promote,” “enhance,” “is a factor in,” “contribute to,” “has a role in,” etc. We all want to provide the best care for our equine partners and alternative therapies are certainly proving a viable option. 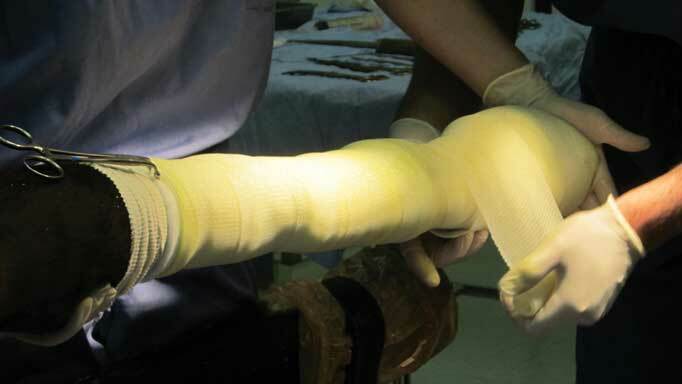 “There is a place for both; you still need to know what you’re treating, but alternative approaches can be very beneficial under the right circumstances and under the expert care of the right practitioner,” advises Anderson. With an arsenal of knowledge and reputable care from a licensed equine practitioner, you don’t have to take it with a grain of salt but instead, perhaps, with a teaspoon of turmeric. Homeopathy originated in the late eighteenth century with the German physician Samuel Hahnemann. It is believed that homeopathic remedies stimulate the body’s own healing processes, based on the idea that substances that produce symptoms of sickness in healthy people will have a curative effect when given in very dilute quantities to sick people who exhibit those same symptoms. (For example, using ipecac, which induces vomiting and causes gastrointestinal distress, to treat a person with similar symptoms.) Even though these extremely diluted remedies may have no chemical trace of the original substance at all, practitioners believe that the electromagnetic energy of the original substance is retained, while the toxic side-effects of the remedy are not. This electrochemical “message” stimulates the body to heal itself. 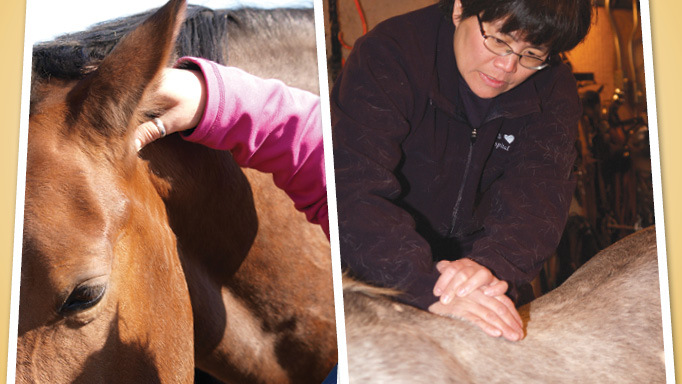 As it is considered a medical procedure, only licensed veterinarians with specialized training should perform equine acupuncture; according to the College of Veterinarians of Ontario, individuals who practice on humans are not licensed to practice on animals unless under the direct supervision of a vet. Chiropractic, or veterinary spinal manipulative therapy (VSMT), works by restoring normal motion to a joint, including those in the spine and also in the legs. A joint not moving through its full range of motion (vertebral subluxation) can be treated using a short-lever, high-velocity thrust in a specific direction. Human chiropractors who have taken additional training in animal chiropractics are allowed to treat horses. A 2009 study of racing Standardbreds published in the Canadian Veterinary Journal demonstrated the benefit of herbs in several equine disorders including recurrent obstructive pulmonary disease, allergic dermatitis, and joint inflammation, in addition to modulating immune responses in healthy horses. Chinese Herbal Medicine (CHM) has been around for over 3,000 years. Contrary to conventional western medicine that treats specific symptoms with pharmaceuticals, surgery, or other methods directly, CHM looks at the body as a whole ‒ psychological, physical, and social ‒ and is based on the belief that disease is a result of physical, emotional, spiritual, social, and environmental imbalances. CHM relies on acupuncture, treatment with herbs, and Tui Na (acupressure/massage) used separately or jointly. Western herbs used to treat arthritis include white willow bark, meadowsweet, devil’s claw, turmeric, and hawthorn. The TCM formula Xiao Huo Luo Dan is composed of six different herbs that work synergistically in the treatment of acute arthritis, soft tissue injuries, and back pain. Massage therapy can be helpful to improve performance, increase suppleness, and improve mobility by releasing muscle tension in the body and relieving muscle soreness. Vaccinating your horse has become a hot topic. When Horse Sport conducted an informal on-line survey, the results showed that 17% of horse owners choose not to vaccinate. The great debate over whether to vaccinate our horses is a tricky one to navigate while maintaining respect for both sides. Vaccination has effectively eradicated or severely diminished the occurrence of many deadly infectious diseases, such as polio and small pox in humans and tetanus and sleeping sickness in horses. However, opposition to vaccines raises concern over adverse reactions and unnecessary need for an already immune-protected animal. 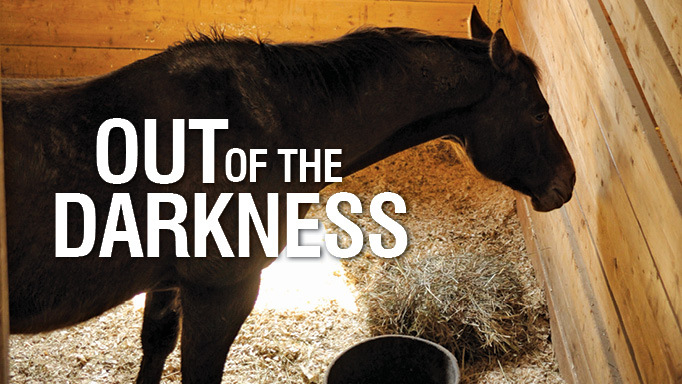 The Ontario Ministry of Agricultural, Food, and Rural Affairs (OMAFRA) provides guidelines for vaccinating horses. They are neither mandatory nor legally binding, just a starting point for horse owners and veterinarians to discuss their appropriate use as part of a disease prevention program. Most vets will recommend the ‘core’ vaccines, those that will protect your horse from diseases that are endemic to your region, pose a significant public health risk, are highly infectious, or can cause severe disease. This includes rabies, tetanus, eastern and western equine encephalomyelitis, and West Nile virus. Much of the belief that vaccinations are dangerous results out of fear, misinformation, or when stories are shared. While there have been no legitimate studies that link vaccination to an over-stimulated immune system such as headshaking to allergies, there can be adverse reactions such as local swelling, fever, nasal discharge, temporary blindness, blood platelet deficiency, muscle wasting, and even colic. The AAEP cautions horse owners from abandoning a vaccination protocol altogether, instead suggesting that in cases where side-effects are experienced to pre-medicate the horse with an anti-inflammatory to prevent or lessen the reaction. Another suggestion would be to split the vaccines up over several weeks. Most horses are vaccinated annually or semi-annually for at least the core vaccines, but the question remains: are we over-vaccinating our horses? There is increased interest to perform vaccine titre testing in order to assess the immunologic status of the animal against certain infectious diseases. A titre test is a laboratory test measuring the level of antibodies in the blood, which are produced when an antigen (a virus or bacteria) provokes a response from the immune system. Titre tests are available for equine herpes III (rhinovirus), Potomac horse fever, equine encephalitis (EEE, WEE and VEE), equine influenza, equine viral arteritis, rabies, West Nile virus, strangles, and Lyme disease. A titre test may run you around $150, compared to the vaccine at around $20. 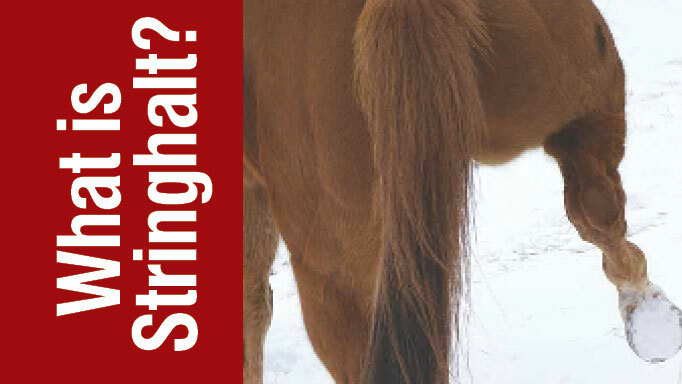 Veterinarians caution horse owners that this is just one piece of a big immunity puzzle. “A positive titre result does not guarantee your animal is protected ‒ it’s just an indication,” notes Anderson. 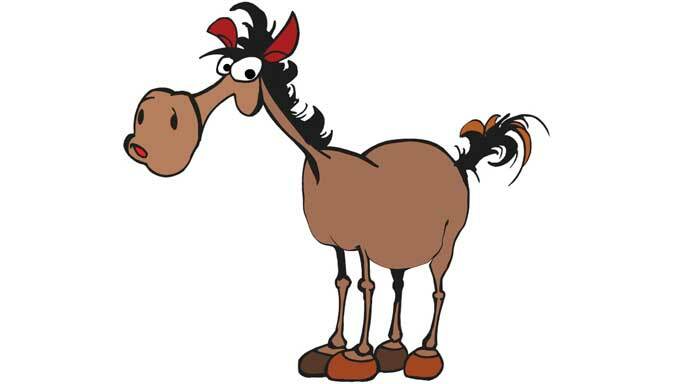 And if you travel with or show your horse, or are considering a new barn, test results alone may not be accepted.